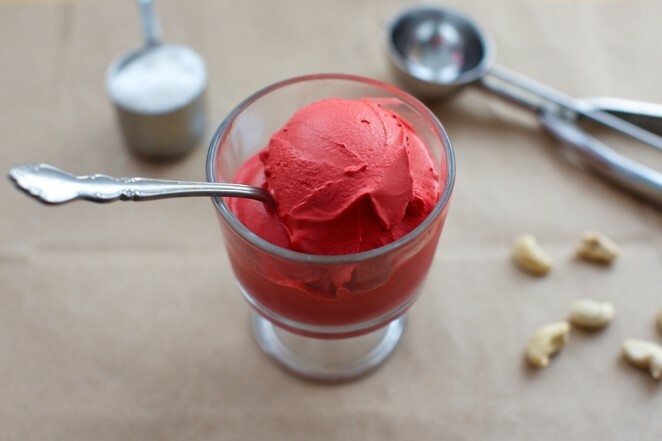 this one looks so pretty in red…loved the use of cashews. This looks AWESOME, Alix!! I can’t wait to try it. BTW, I can’t find Mimicream at my local health food store anymore, either. They must have cut back on their distribution. when i get off my godforsaken diet i am so going to make this. dang. mhmmhmhm!! i’ll try this for sure!! love ice cream. great blog btw, i really appreciate good/artsy/modern vegan blogs. the world need more of them! thank you! you’re blog is beautiful by the way.